Black winter truffles and white Alba truffles are the most prized varieties for their rich aroma. Regno degli Ulivi has infused black winter truffles in its olive oil to give birth to this olive oil flavored with black winter truffle that will bring flavors to your dishes worthy of a great cuisine. 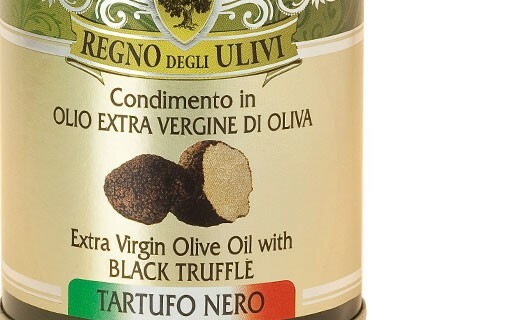 The incomparable finesse of black winter truffles give your recipes a unique and refined side. It will accompany you every day to cook and season your dishes. The most common ingredient in Mediterranean cuisine is undoubtedly the olive oil. It is by following that precept that the house Regno degli Ulivi created its range of flavored olive oils, his only ambition is to get products out of the ordinary. 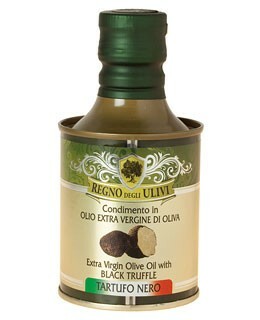 This oil is all indicated on sliced mushrooms or on a veal carpaccio. Added at the end of the cooking, it will perfume with class a pasta dish, mashed potatoes, scrambled eggs or a risotto.